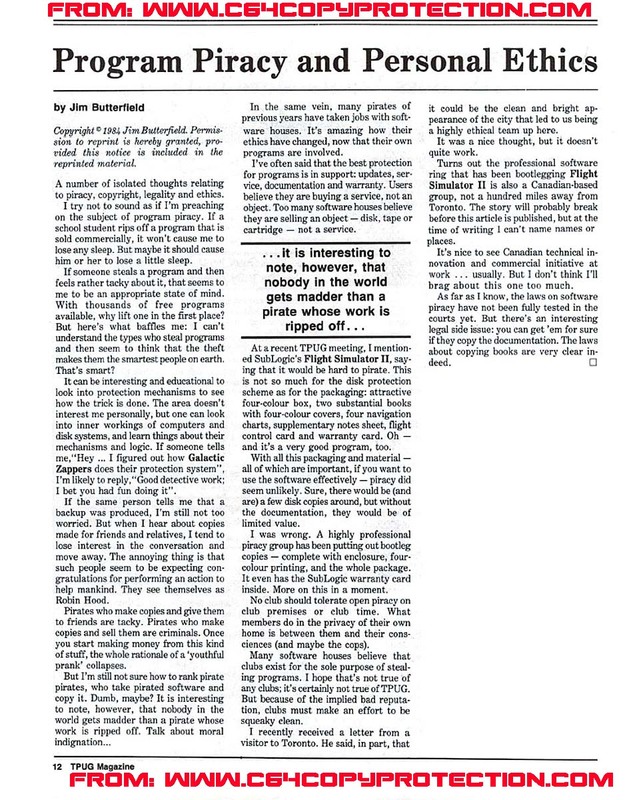 This is part #3 in this article from The Transactor in 1984. 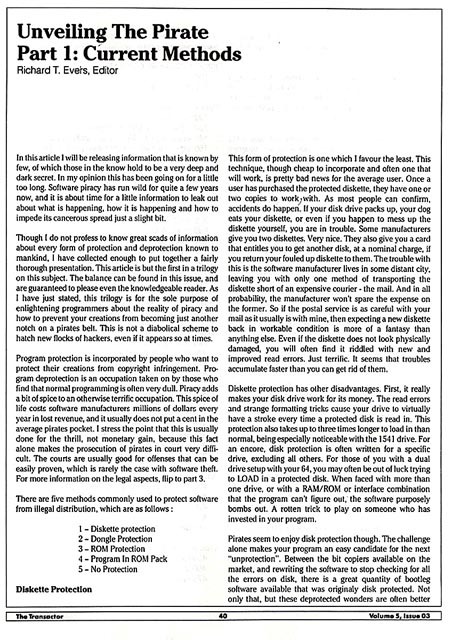 This is part #2 in this article from The Transactor in 1984. 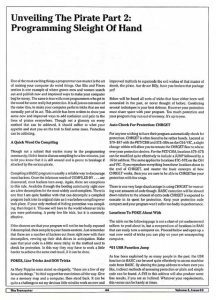 This article is about the new and improved ways to add confusion and pain to the lives of pirates everywhere. 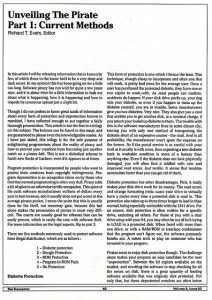 This is a very interesting article about copy protection. 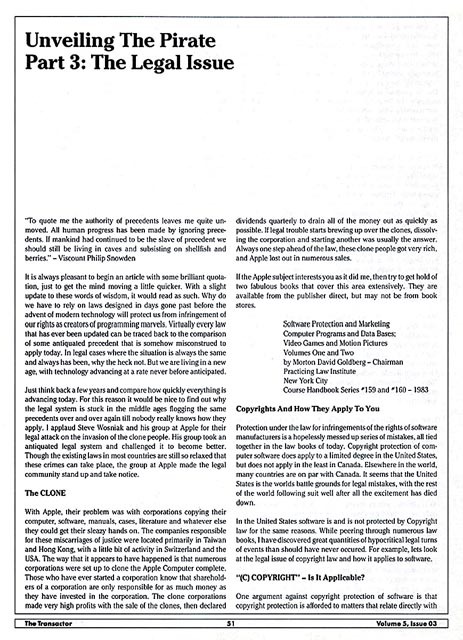 This is from TPUG magazine in 1984. 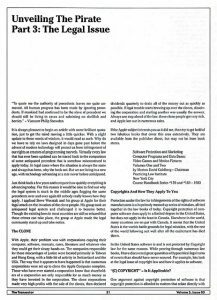 A number of isolated thoughts relating to piracy, copyright, legality and ethics. 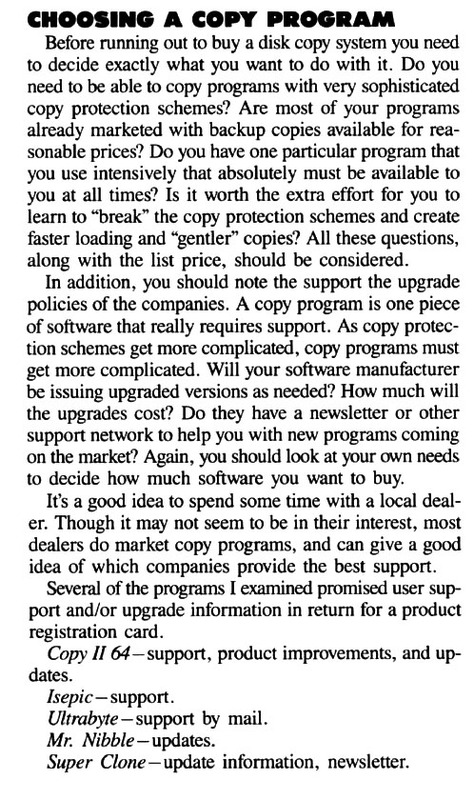 I try not to sound as if I’m preaching on the subject of program piracy. lose any sleep. 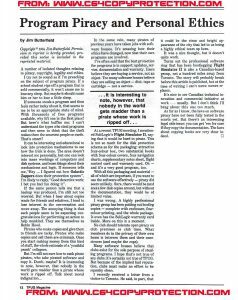 But maybe it should cause him or her to lose a little sleep. makes them the smartest people on earth. That’s smart? I bet you had fun doing it”. help mankind. They see themselves as Robin Hood. 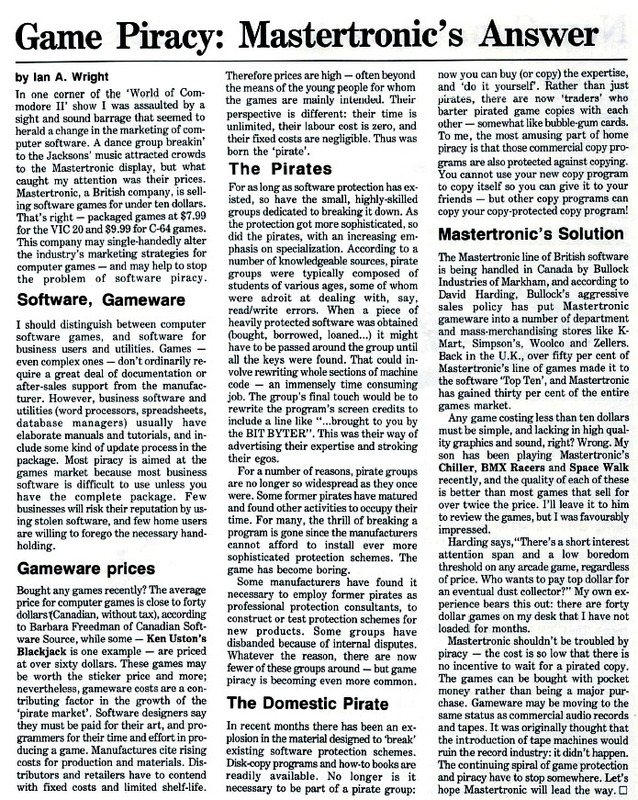 Here is an interesting article about game piracy and Mastertronics. 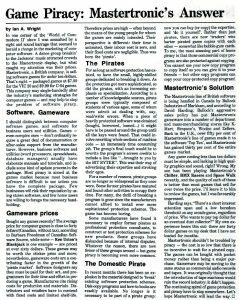 Quote: Mastertronic shouldn’t be troubled by piracy – the cost is so low that there is no incentive to wait for a pirate copy. 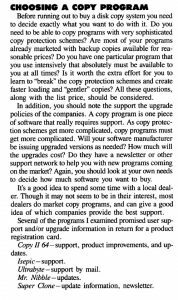 This is a short article about choosing a copy program. If you like this blog, please send me a donation to encourage me to do more, Thanks!